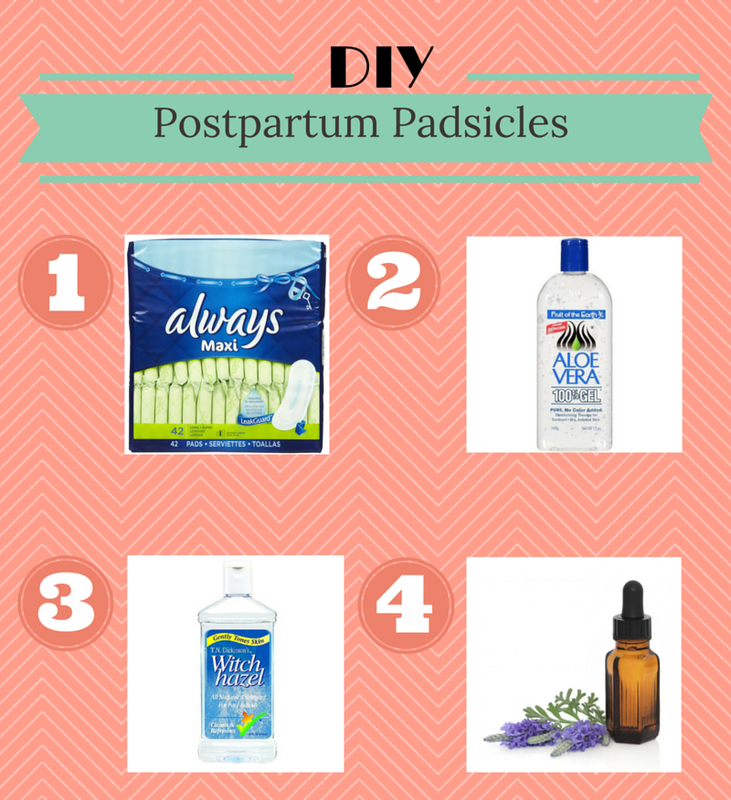 The postpartum period is anything but pretty. You'll be experiencing the postpartum bleed, where your uterus will be expelling the copious amounts of blood and tissue from the pregnancy. After a vaginal delivery you may experience a lot of pain, you may also have had tearing and needed stitches. One of the best things you can do to bring yourself comfort is make some padsicles in advance. 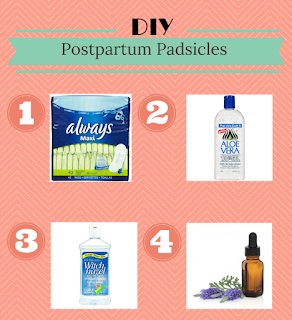 These DIY padsicles will offer comfort and soothing so you can focus on your new little one. Pads (or sanitary napkins), the biggest, thickest, heaviest duty ones you can find. You will need it. 1. Open up your pads, but leave the plastic wrappers still attached. 2. Spread a layer of the aloe vera over the entire pad, not just the middle. 3. Pour a tablespoon of witch hazel down the center of the pad. 4. Add 2-4 drops of lavender essential oil to the pads. 5. Refold the pads and place into a gallon sized baggy and put in the freezer. You will be so glad you made these once you get home from the hospital. Just take them out of the freezer one at a time when you need them and let thaw for 2-3 minutes before use.